Heaven’s Cradle, a fund of the West Tennessee Healthcare Foundation, is excited to announce a new location for its upcoming Twilight Run & Downtown Rendezvous. The 5th annual Twilight Run & Downtown Rendezvous will be held at the Farmer’s Market in downtown Jackson on Thursday, June 8, 2017. 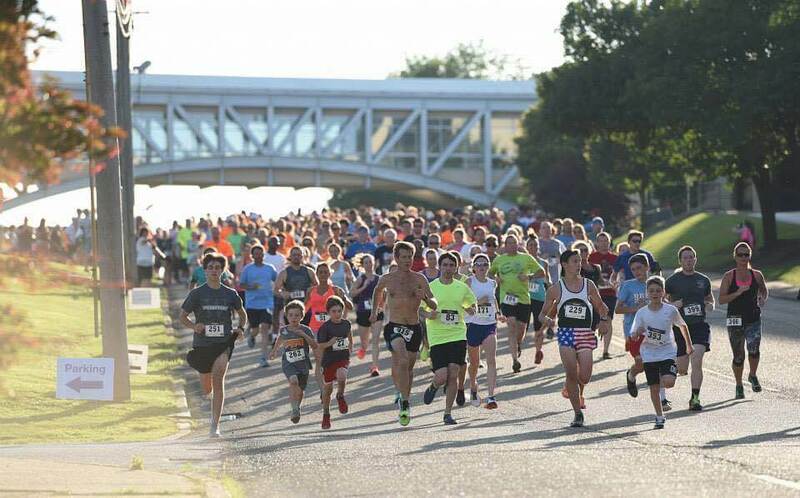 The event includes an evening 5K race, 1 mile Run/Walk through downtown followed by a rendezvous with live music by The Dirt Pilgrims and dinner from a variety of local food trucks. Heaven’s Cradle was established in 2011 by Gary and Abby Lackey in memory of their son, Davis Arnold Lackey, who was stillborn. The group is working to remove the silence surrounding infant loss and to ease the suffering of grieving parents and grandparents. Funds raised this year will continue the mission of helping families create memories with their baby, memorializing babies through the annual Walk to Remember event and the Serenity Garden located at the hospital, supporting grieving families with an active support group and assisting caregivers. Funds raised will also help to purchase an additional Cuddle Cot, which is a small cooling unit for babies born still or who die recently after birth. These units offer precious bonding time for grieving families. 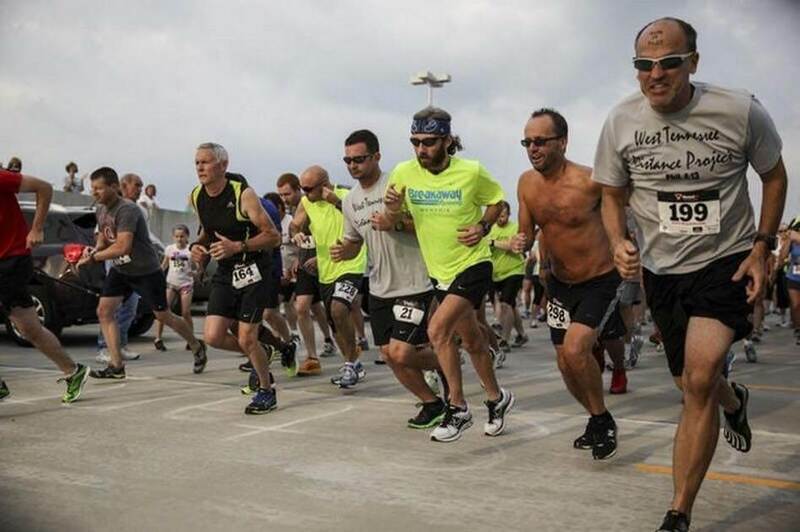 Last year the Twilight Run & Downtown Rendezvous hosted over 700 runners plus 300 dinner guests. Early registration is $30 per person and includes dinner and race t-shirt. Walk up registration is $35 per person. Dinner tickets, open to anyone, not just runners are $10 per person and allow you to select from one of the food vendors. Pre-registration is from 5:00 p.m. - 6:00 p.m. with the run starting at 6:30 p.m. Music, dinner and silent auction will begin after the run. The 2017 Twilight Run & Downtown Rendezvous is presented by: Arrington Funeral Directors, Modern Woodmen of America, Voya Financial-Steve & Brad Little, West Tennessee Healthcare Foundation, West Tennessee Women’s Center, Packaging Corporation of America, Robert’s Jewelers, West Tennessee Healthcare, Woman’s Clinic, The Jackson Clinic OB/GYN Department, Mid-South Perinatal Associates, Blue Goose Counter Top Designs, Williams Steel Company, Bobby & Sheila Arnold, Horseshoe Lake Venue, Browning and Graves, Clint and Ashby Scott, Chandelier Café, Brown-Forman Corporation, VIP Jackson Magazine, The Children’s Clinic, Jackson Regional Women’s Center, Dr. Ryan & Molly Roy, Julie Couch Interiors, Neonatalogy Department at JMCGH, and Haltom Real Estate Group. Online registration for the run/walk or dinner is available at www.racesonline.com/events/twilightrun. For more information contact Judy Arrington at (731) 541-4947. West Tennessee Healthcare is a public, not-for-profit healthcare system servicing 18 counties throughout West Tennessee. The mission of West Tennessee Healthcare is to improve the health and well-being of the communities we serve while providing exceptional and compassionate care. For more information, visit www.wth.org.